The submission FC light gi is a fairly nice gi at the lower end of the bjj gi price spectrum. It offers a decent quality, further enhanced by its nearly $100 price tag. 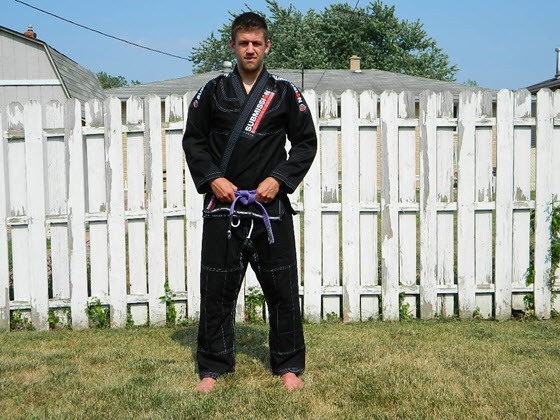 If you’re a gi buyer on a budget, but still want a decent gi, then this is the gi for you. 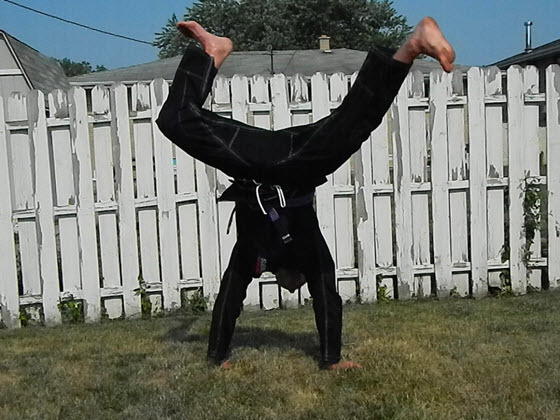 While I wouldn’t classify this gi as being a super lightweight gi, it does definitely fall near to that realm. It’s probably one of the lighter gis that I own, but that may be attributed more to the pearl weave than the actual weight of the gi. The A3 model weighed in around 4lbs. So only a pound more than other lightweight gis, but nothing significant. I’m 6’1 and about 210 lbs. I wear an A3 in the Submission FC Light gi. 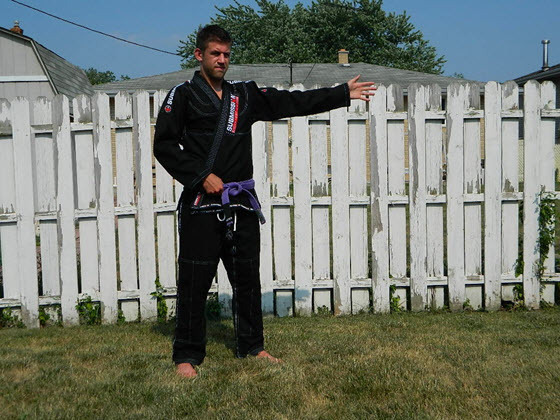 As you can see in the photos, the gi fit me very well around the midsection, similar to the CTRL Industries Rook. It’s a slightly slimmer of a cut than other gis, such as Moya Brand. You can put it through all sorts of heck and the gi will probably come out just fine. The Submission FC light Gi definitely a very clean looking gi and the seam tape holds up pretty solid as well. This is one of the most heavily branded gis that I own, except for maybe my Bull Terrier New Star. There are logos on each shoulder, on the lapel, along the skirt, on the pants, and down each pant leg. It’s a lot of bling, but it flows well on the black gi and its likely why I prefer this gi in black as opposed to the white and blue, which it is also offered in. All of the stitching on my gi was spot on and straight as an arrow! There isn’t a seam down the back of the Submission Light gi and the top is made of Pearl weave fabric. Typically, this means its a bit lighter than most Gold Weave and Double Weave gis. Remember to soak the gi jacket in vinegar or the color may fade prematurely. Probably one of the best parts of the Light gi is that it’s great for IBJJF tournaments and will pass inspections. Each of the light gis also has really cool contrast stitching: black with white stitching, blue with black stitching, and white with black stitching. My personal favorite is probably the black with white stitching because it really *pops* when you look at it. The stitching is also all really well done without any crooked lines and dropped seams. The collar on the jacket is only slightly larger than my Black Eagle. And about the same as my Tatami Estilo and Moya Brand gis. The sleeves are just slightly wider than some of my other gis. Go to MMA Overload for the latest deals on Tatami’s Estilo line of gis! The pants are a really cool type of ripstop and are pretty light weight, but don’t feel like a parachute type of material. 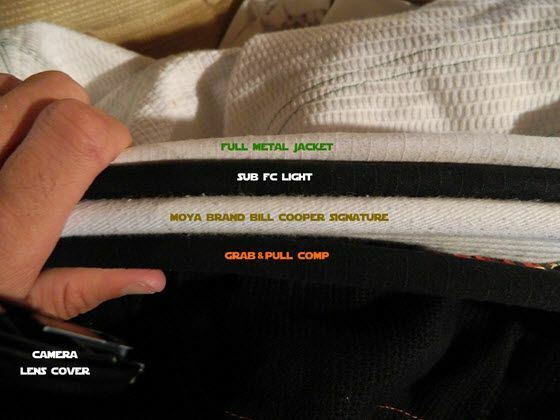 The drawstring on the Submission FC Light Gi is pretty long. Like super long. But we recommend that you just cut it down to size. The pants are very thin, but I didn’t have any issues with dropped seams or with tearing. I could not find information anywhere about the exact weight of the pants, but they’re a lighter ripstop than some of my others, I would guess them to be in the 8-10 oz range. While the fabric is very light, all of the seams are reinforced with 1″ padding, which is something that I haven’t seen on any other pants. These pants will be good for a long time unless they tear through the actual fabric, because the seams aren’t going anywhere. While some people are belt loop snobs, I didn’t have any trouble with the Submission Light’s 2 belt loops. The pants are just a bit larger than my other gi pants as well. For contrast, they’re about an inch longer and a half inch wider in the thigh compared to my Justgipants gi pants. Rolling with this gi went well. Due to the good fit for my body, I didn’t have any issues with it becoming untucked or stretching out or anything like that. I could probably even stand to shrink it a bit and it would be a bit better cut for competition on my body, as tighter can be better when competing. This is a very good gi for the value. Definitely a great gi for beginners in BJJ, but also for anybody who doesn’t like spending a fortune on their gi. With regard to fit and quality, you really aren’t going to find a lot of gis in this price range. Really the only downside to the gi is the significant over-branding with the seam tape. This is something that Submission FC has definitely rectified on their new Hemp Sensation gi. With that said, I would definitely pick one of these up. One of the best bang-for-your-buck gis on the market. IBJJF Approved Hemp Sensation Gi is Available at Amazon. Visit now! Thanks for another great review Brendan. Just added it to the site. 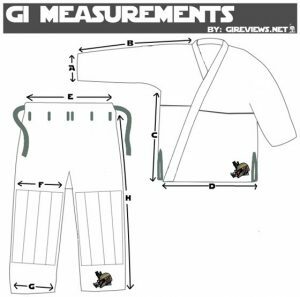 Every time I talk to people about purchasing a more affordable gi people talk about the fuji gi, but the submission gis are also at the same price range. So is it just me, after reading some reviews the submission gis have much more features and aesthetically look much better than fuji and at about the same price? So it should be a no brainer to choose the Submission bjj gis for people on a budget like me? I really don’t see a difference between the submission light gis compared to the higher end gis priced close to $200. Thanks for the comment Mark. I definitely agree. Submission FC is an established company and it drives me crazy to see new companies release their first gi for 175-200 and it’s just a pearl weave that they’re trying to psychologically convince you is better because you’re paying far more for it (perceived value). If you’re looking for a budget gi, fuji is great, but also consider Submission FC if you’re into contrast stitching and that sort of stuff. Got this one in A0 (black) for my girlfriend as it was only a few that will fit her. Felt like cardboard out of the box, not much better after wash. Stitching is all over the place in terms of consistency. Also a bit smaller than what they list and potentially not tournament legal on her body as is…but wasn’t buying for that anyways. Overall the Gi is light, and the bling/styling is cool (almost race track ready)…but it’s by far her least favorite behind the Kingz 420 and Black Eagle Predadora (which felt like a bath robe out of the bag in comparison to this one) that we bought this go around. It was only 80 or 90 bucks though so maybe expecting too much, but any “lightness” to it is negated by her needing to wear a rash guard under as it’s super scratchy. That’s really interesting, Paul. I didn’t experience any of that and actually prefer a stiffer gi to a soft gi (just my personal preference. weird, i know). But I think it’s great to have multiple viewpoints so I’m really glad you posted! Didn’t mean for things to sound so negative, but it really is a bit rougher. Like stands a bit on it’s own. The collar is nice though and tougher to grip (just rubs her neck a bit too much). The pants are really nice on these and she’s enjoying them more as she wears it longer… and they’re almost HALF the width of Predadora (good thing). I don’t know who is that short and squat, but Black Eagle’s test ladies for sizing must have some mighty powerful hips LOL. I’m anxious to get my hands on a Hemp S though because I do like the brand and logos and their styling.